The Cruise Ship Orderbook Data Report (1988-2019) presents a yearly account of ships on order listing all years from 1988 through 2019, giving an overview of ship ordering trends and future growth planned by cruise operators over the years. This PDF report delivers instantly via email. 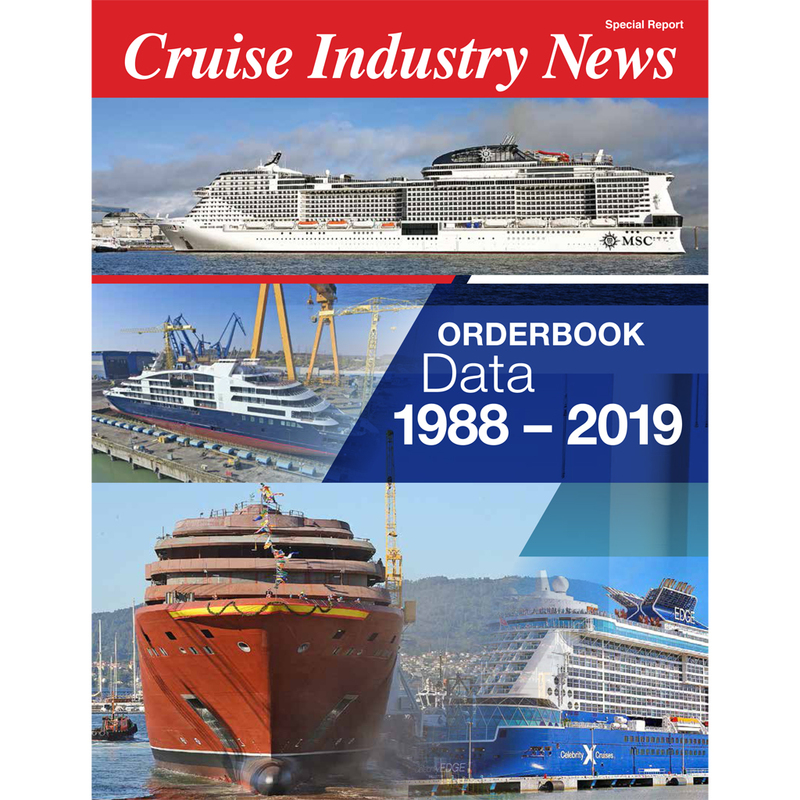 1988-2019 Cruise Ship orderbooks as independently sourced and published by Cruise Industry News. Each year (from 1988 through 2019) shows ships on order at a specific calendar date. Ship orders include cruise line, ship, yard, tonnage/passenger capacity (if known at the time), and for some years, sailing region and exact delivery time frame. Graphic sample of trends in tonnage, passenger capacity and ships on order. 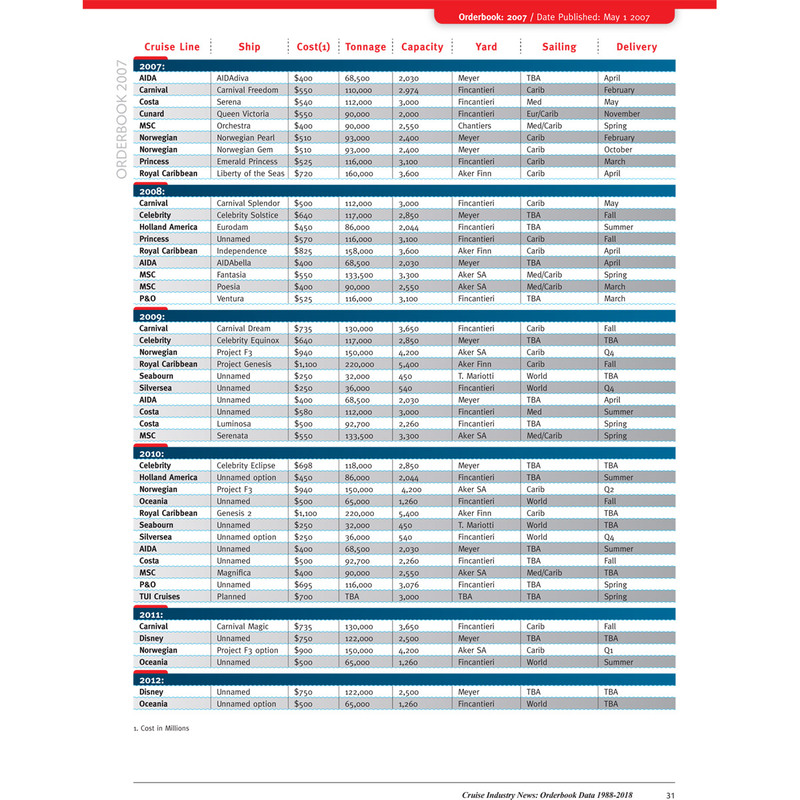 Data and information you need in just 35 pages to plan to present a complete over view of the cruise ship orderbook history. 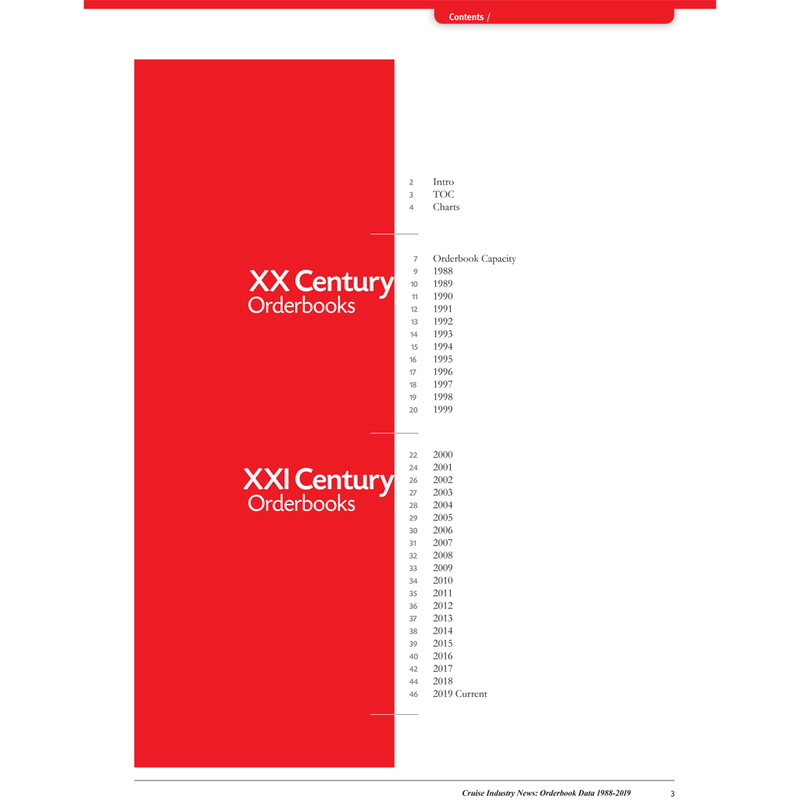 Orderbook capacity summary, ships on order per year, total berths, total cost per berth, total orderbook value, average ship sizes, average ship costs.